UPS, FedEx and other major couriers may be investing heavily in autonomous drone technology but the reality is, ground-based delivery vehicles aren’t going anywhere for the foreseeable future. UPS on Wednesday announced it is working with UK-based technology company Arrival on a fleet of 35 state-of-the-art electric delivery vehicles. The zero tailpipe emission EVs will feature a battery range of more than 150 miles and come equipped with Advanced Driver Assistance Systems (ADAS) designed to improve safety and reduce driver fatigue. Luke Wake, international director for automotive engineering in the advanced technology group at UPS, described it as a pioneering collaboration that’ll help UPS develop new ways to reduce emissions. Arrival CEO Denis Sverdlov said the vehicle’s unique wrap-around front window affords the driver a much wider field of view that improves not only the safety of the driver but also that of cyclists and pedestrians. Indeed, UPS’ new EVs are unique – dare I say cute, even. As another publication points out, they look like a creation straight out of a Disney Pixar film or perhaps a reimagined take on Volkswagen’s Microbus of yesteryear. 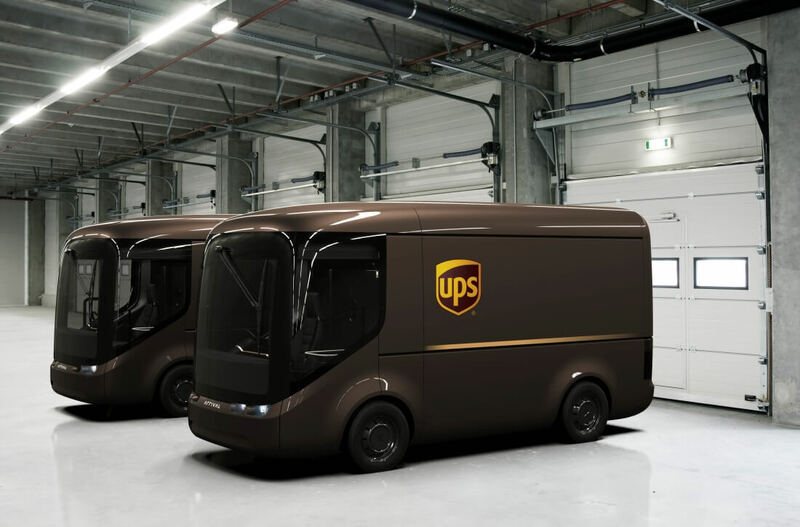 UPS has been working with Arrival on prototypes of different sizes since 2016 and aims to trial the new fleet in London and Pairs by the end of the year. They’ll join the more than 300 electric vehicles and nearly 700 hybrids already in service across Europe and the US.